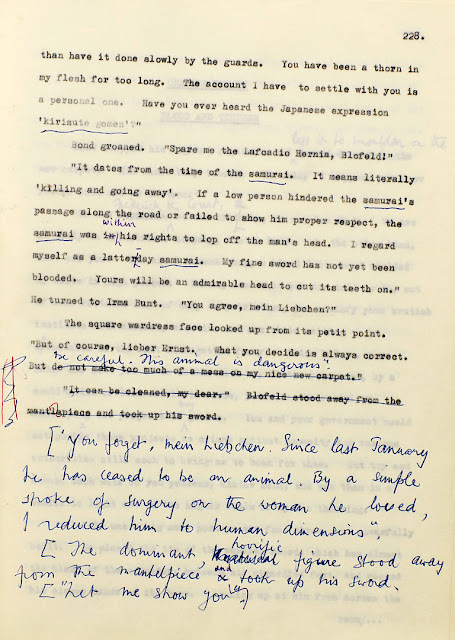 A few days back I wrote about a first edition of Casino Royale being sold at Sotheby's for £40 000. You can read that blog post here. At that very same auction a oner of a kind James Bond collectable was also up for sale. This very unique item was 255 pages of Ian Flemings typescript of of his thirteenth James Bond novel YOU ONLY LIVE TWICE. 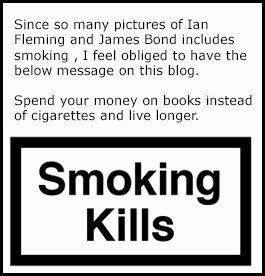 65 of these pages seems to have not made by Ian Fleming. 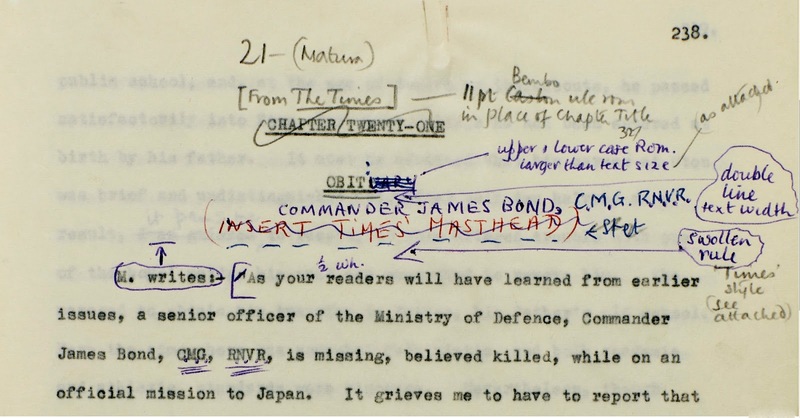 WORKING TYPESCRIPT OF FLEMING'S TWELFTH BOND NOVEL, THE FINAL INSTALMENT OF THE 'BLOFELD TRILOGY'. It was also the first novel to be conceived and written after the beginning of the film franchise. Fleming had become fascinated with Japan on a 1959 visit. 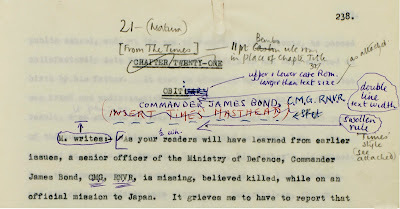 In 1962 he returned to the country, having decided that it would be the setting of his next Bond book (his research notes from the tip were sold at auction in 2002), and he began writing the novel shortly thereafter. By April 1963 the manuscript was completed and ready to be typed. His typist, Jean Frampton (who had typed all Fleming's manuscripts from For Your Eyes Only of 1959) produced eight copies for distribution to the editorial staff at Cape. The novel was printed in December 1963. The typescript sold for no less then an amazing £47.500. No way near what I myself could ever spend on a James Bond Item. Lets just hope that the buyer was an institute that excepts visitors.